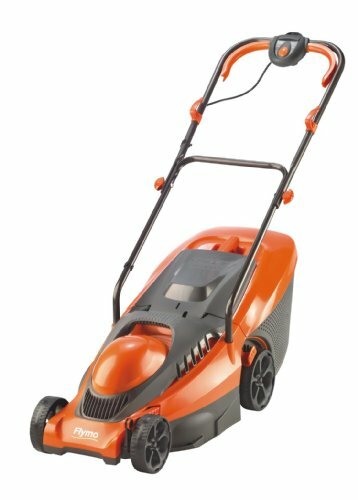 Powered by a 1400 watt motor, your Flymo Chevron 32VC will cut through the grass with ease, thanks to the 34cm metal cutting blade. Your preferred grass height can be easily achieved, thanks to 5 heights of cut, ranging from 20mm – 60mm, adjusted by a central height adjustment lever.The rear roller will give your lawn a classic striped finish, and also make cutting over edges easier. Cutting will be quick and efficient leaving you with more time to relax and enjoy your garden area.